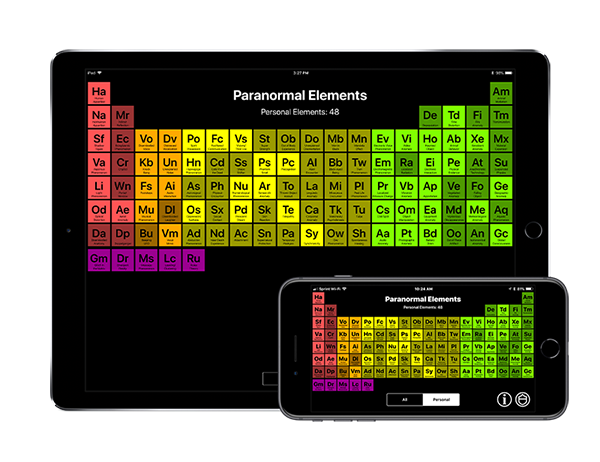 The Paranormal Elements app for the iPhone and iPad lets you explore topics from the Periodic Table of Paranormal Elements and keep track of phenomena you have witnessed personally. Earn achievements as you add to your personal list of elements. If you have support questions or comments as to what you’d like to see included in future versions of the app, please send them to support@streamsidesoft.com.